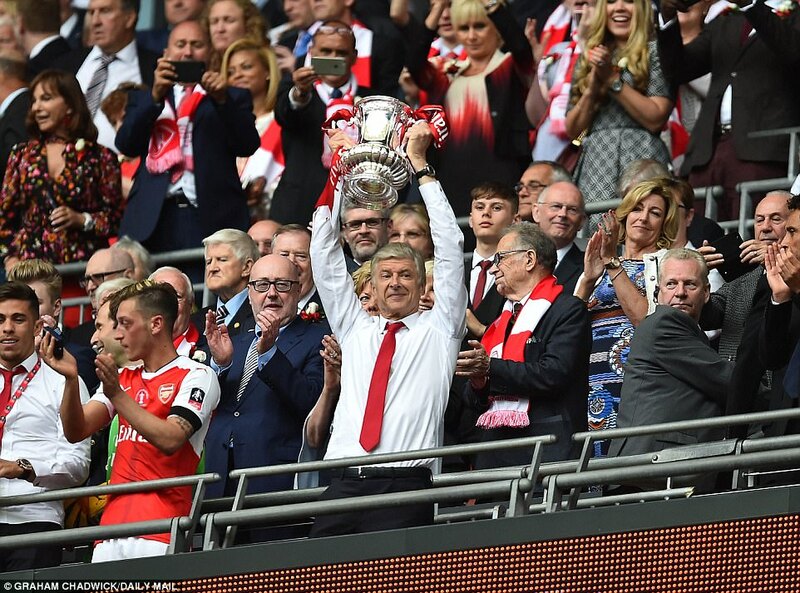 Wenger wins FA Cup trophy for new lease of life! 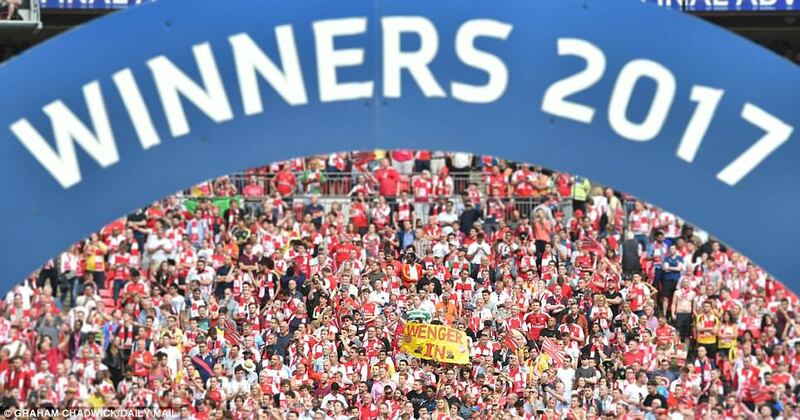 He saved the best for last, Arsene Wenger. Or, at least, his team saved their very best performance of their season for their last game. 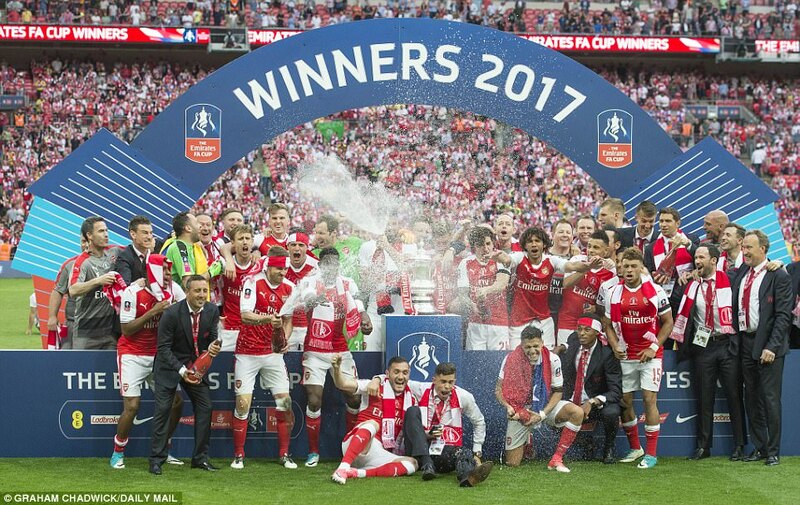 And if it were to be Wenger’s finale after 21 years, if Tuesday’s board meeting were to result in something cataclysmic in football terms and wholly unexpected at this late stage, at least he will always have this on which to reflect in his dotage. 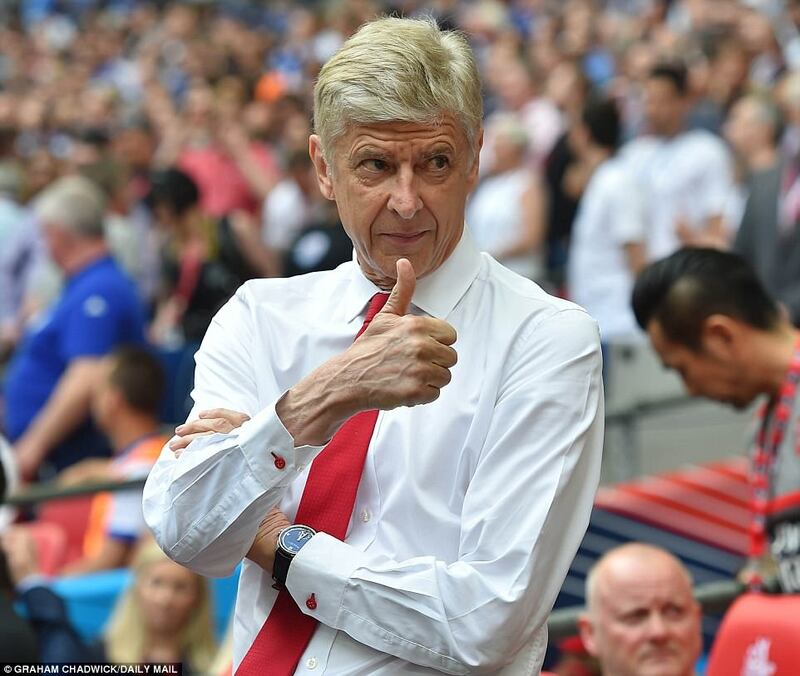 A mesmerising Arsenal side outplayed the Premier League champions; they should have won be a far greater margin, hitting the woodwork three times; they played like a Wenger side, but one from twelve years ago. They had panache, obduracy, commitment and zeal. ARSENAL: Ospina, Holding, Mertesacker, Monreal, Bellerin, Ramsey, Xhaka, Oxlade-Chamberlain (Coquelin 82), Sanchez (Elneny 90+3), Ozil, Welbeck (Giroud 78). 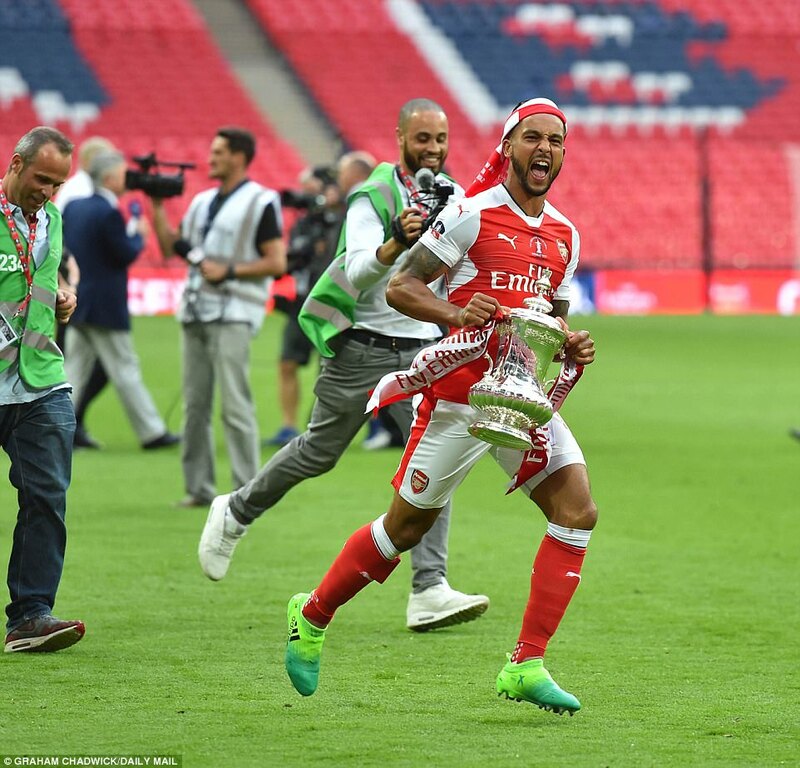 Subs not used: Cech, Iwobi, Perez, Walcott. Booked: Holding, Ramsey, Xhaka, Coquelin. Scorers: Sanchez 4, Ramsey 79. CHELSEA: Courtois, Azpilicueta, Luiz, Cahill, Moses, Kante, Matic (Fabregas 61), Alonso, Pedro (Willian 72), Costa (Batshuayi 88), Hazard. Subs not used: Begovic, Zouma, Ake, Terry. 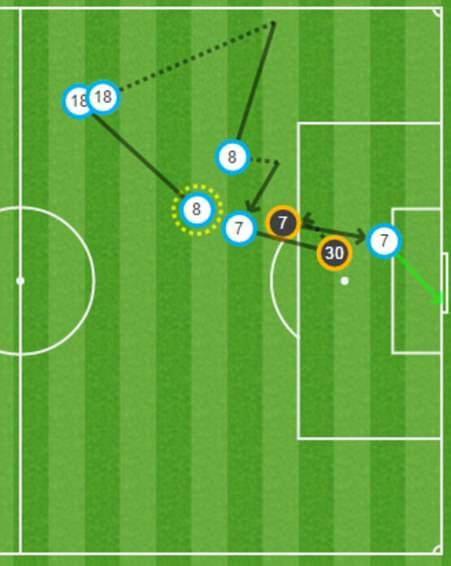 Here’s how Alexis Sanchez’s fourth-minute goal played out. 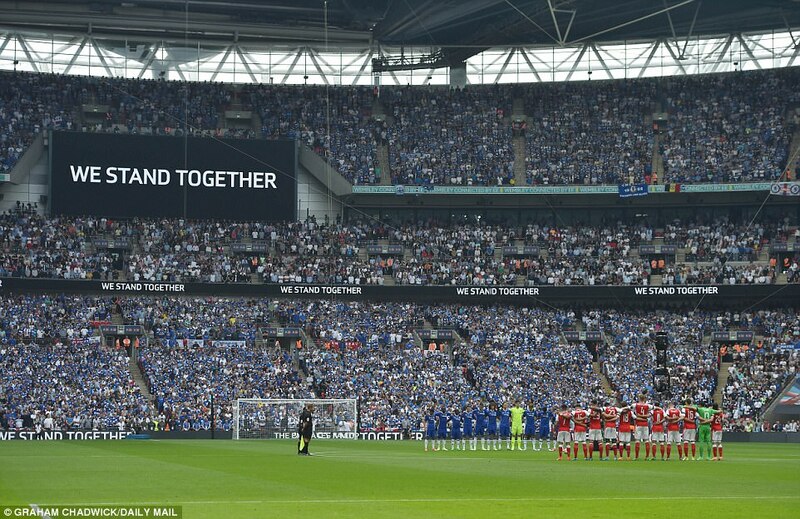 Forget for the moment that Chelsea failed to show. 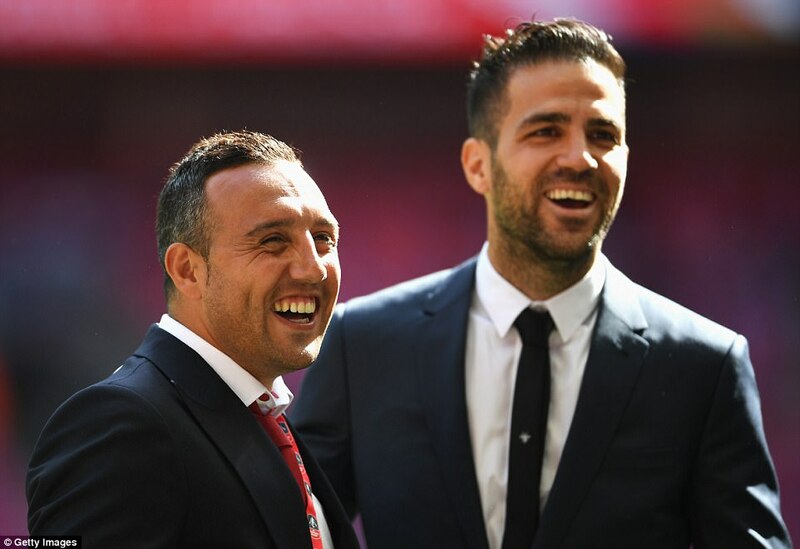 You could almost forgive them that after their enormous achievement of winning the league. 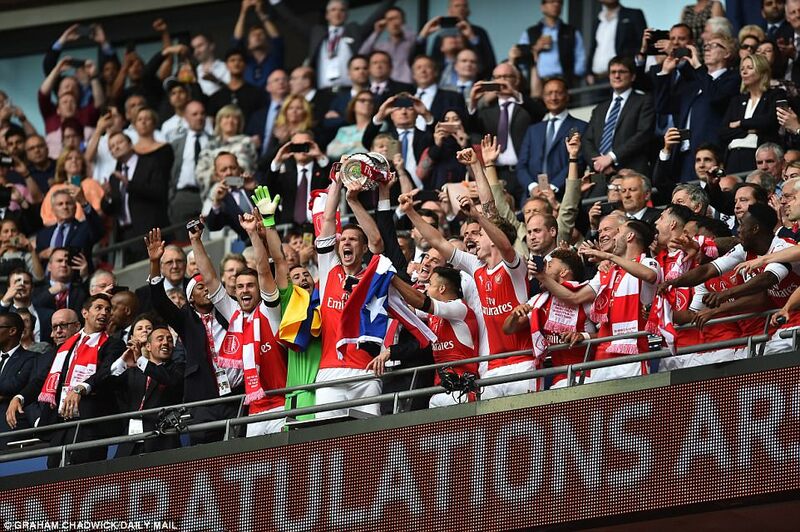 This was Arsenal’s day and Wenger’s moment. All year he has endured the abuse; in recent months he has been pilloried and disrespected; and it has hurt his pride. 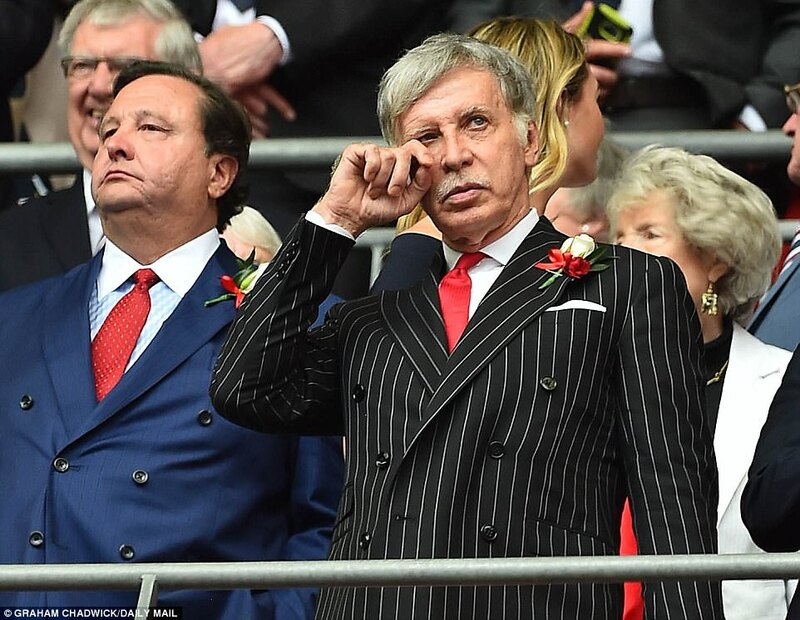 And performances at Bayern, West Brom and Crystal Palace has stretched the patience of even loyal lieutenants. 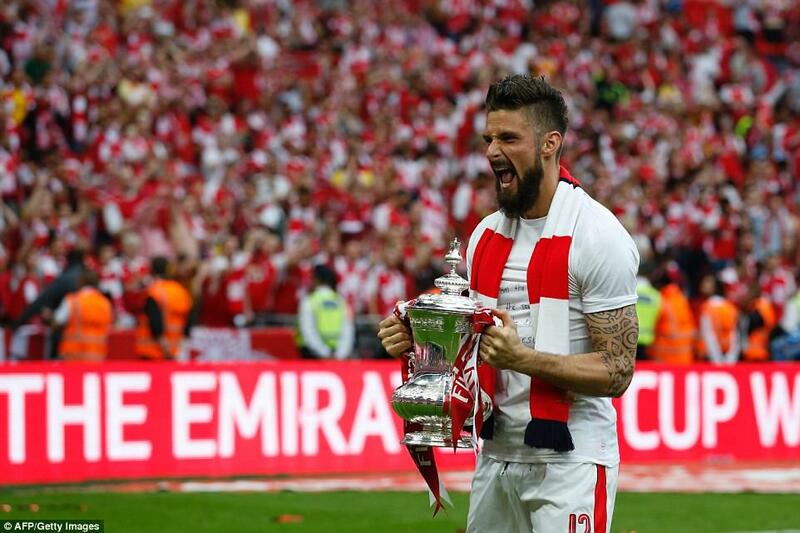 Yet here he is, with his third FA Cup in four years, surpassing Aston Villa’s George Ramsey, who won his first in 1887, as the most-successful of all time in this competition. And with 13 victories in the FA Cup, has guided his team to being the most successful club of all time in this competition. Not bad for a man on his way out. It’s a specialism in failure many would love to master. Does it rescue the season? To some extent. The bigger question, for another day, was where was this team, this spirit and this strength when it was required in February and March? 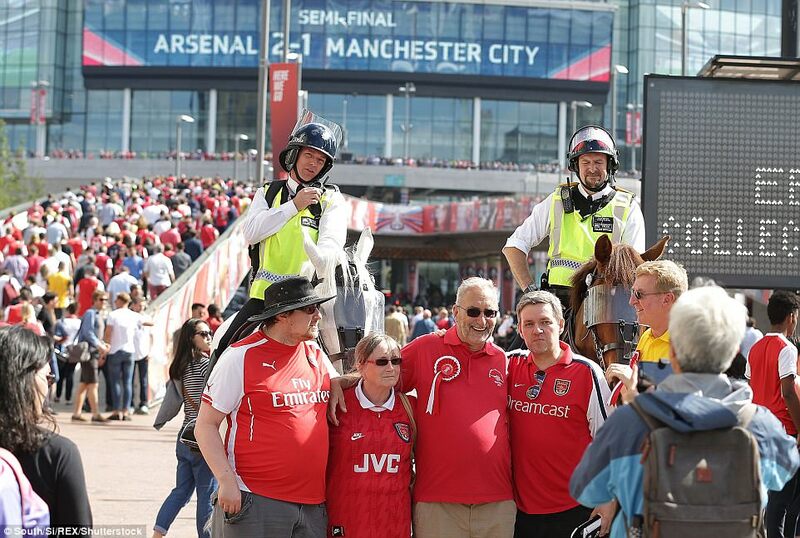 But on Saturday they summoned of the spirit of a former age and played like a Wenger team should. 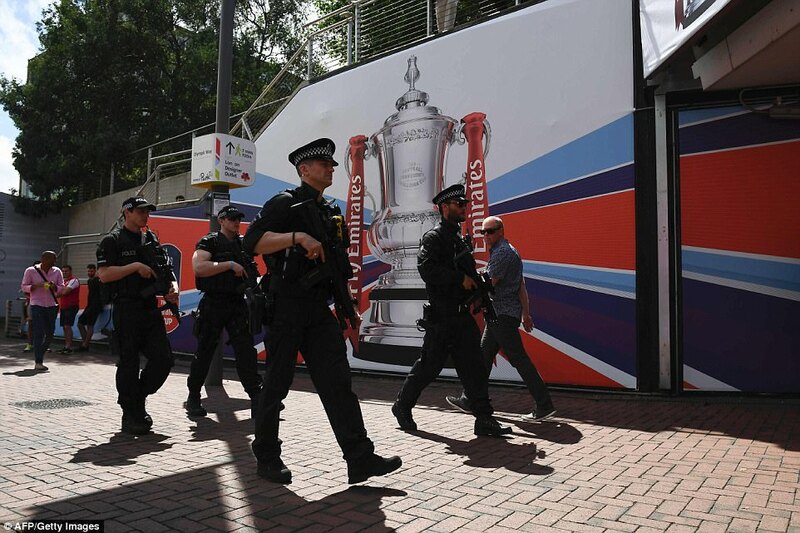 Wave after wave they came, those Arsenal attacks. This was a side transformed, more akin to the real Barcelona than the lightweight version Arsenal usually resemble. The back three, a work in progress, suddenly afforded them space and angles hitherto unimagined. 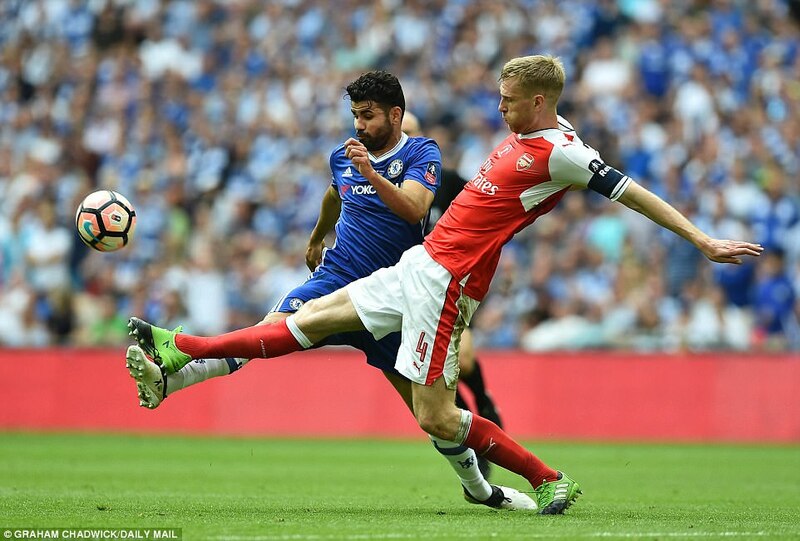 Per Mertesacker, on the back of those 37 minutes played this season, was almost bullying Diego Costa with his dominance in those opening exchanges; Rob Holding looked comfortable on the ball; Hector Bellerin was exposing Marcos Alonso at will. 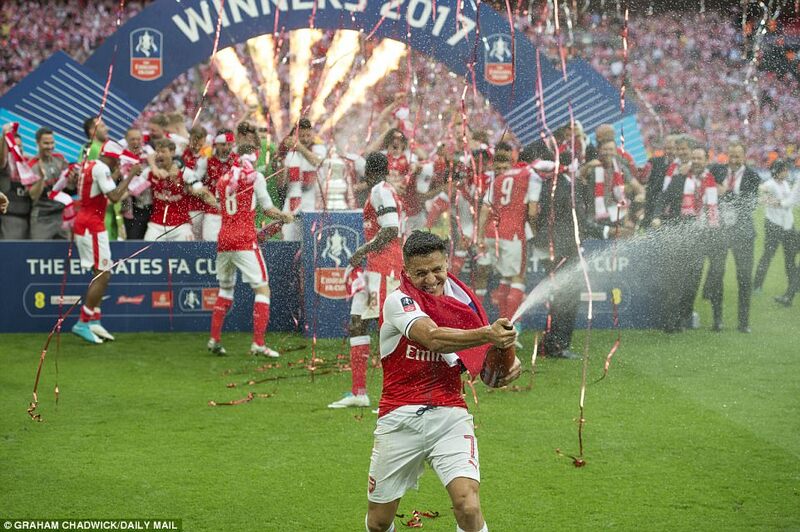 Chiefly though it was about Sanchez, ably assisted by Mesut Ozil. 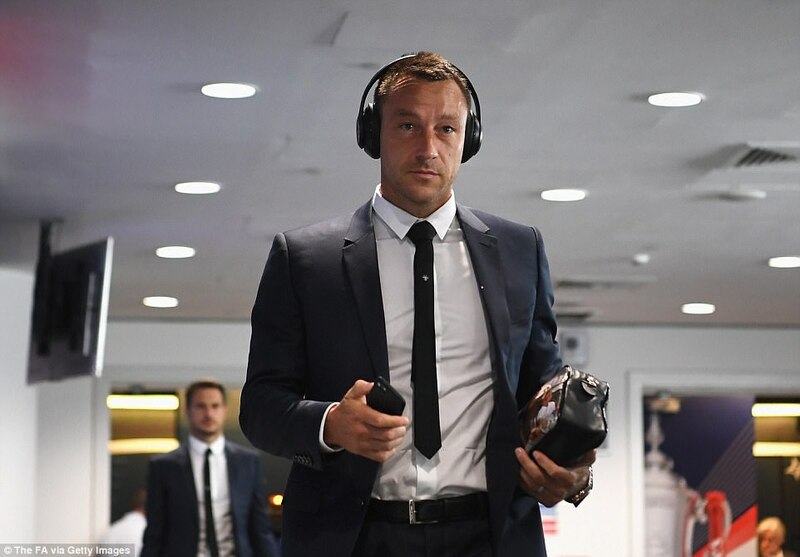 The Chilean was everywhere: at left back to tidy up; at centre forward to press the goalkeeper; at inside left, where he was actually meant to be, giving Cesar Azpilicueta and Gary Cahill a hard time. And yes, with his hands up punching the ball on to assist his own goal. He was lucky that wasn’t spotted. But still, with his bit between his teeth he is some player. And that opening goal was conceived and delivered by him alone, with a nod to Diego Maradona. Ramsey had harried Chelsea to win back possession, a constant feature of that first half. But Sanchez it was who chipped it into the box. 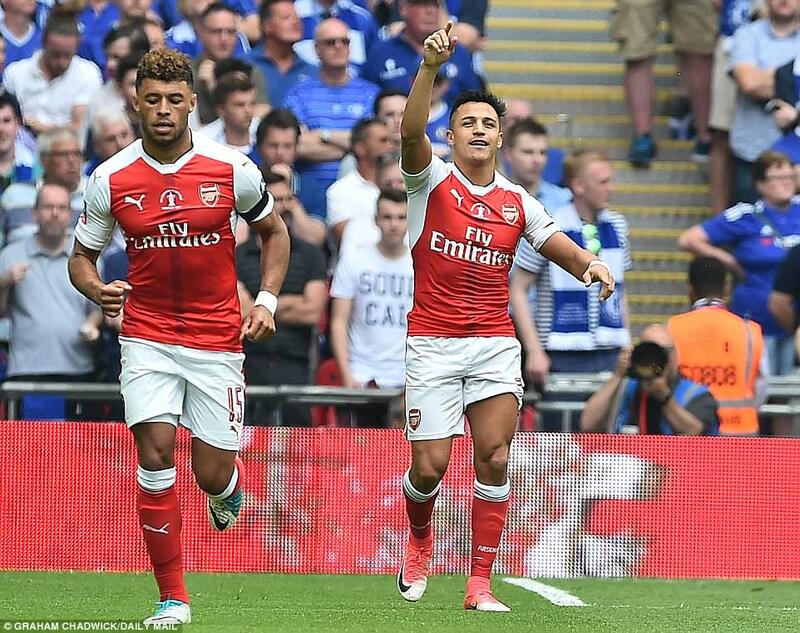 David Luiz headed away and up leapt Sanchez pushing the ball with his hands into the box towards Ramsey, who had strayed into an offside position. 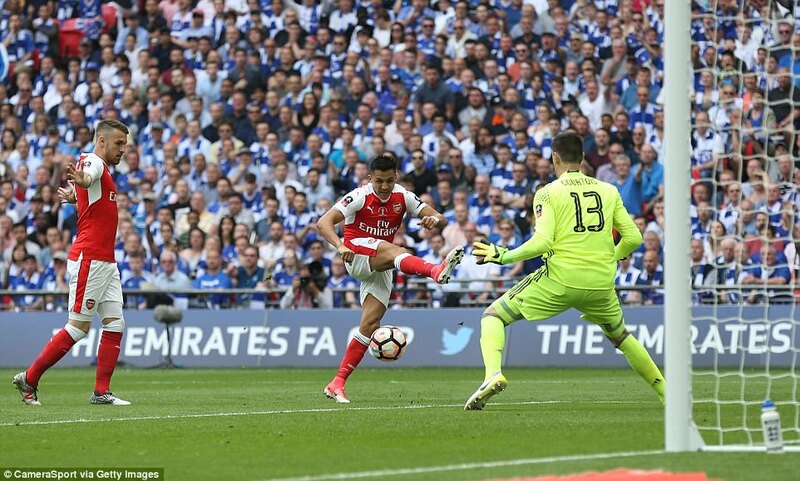 But he was moving away from goal and as Chelsea hesitated, Sanchez, a bundle of energy, kept on running, chasing down his own deflected chip. Then he pushed the Welshman aside and struck deftly past Courtois. 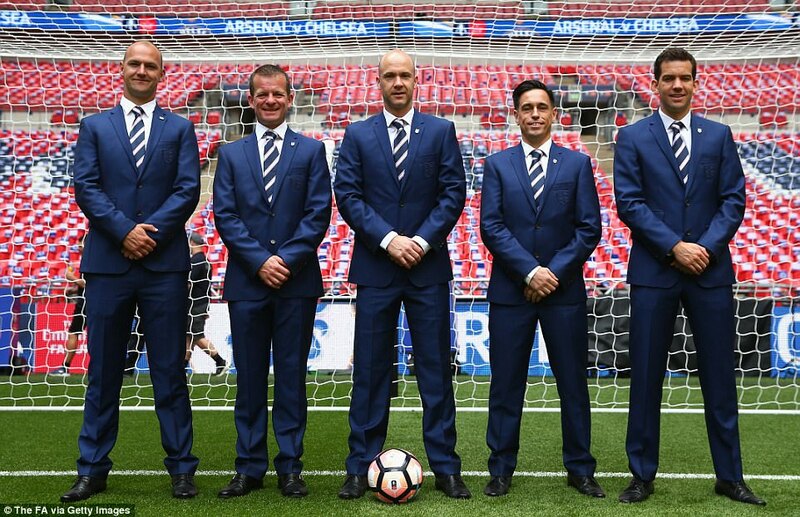 The flag was raised by the assistant referee but Anthony Taylor seemed less convinced an offence had been committed. 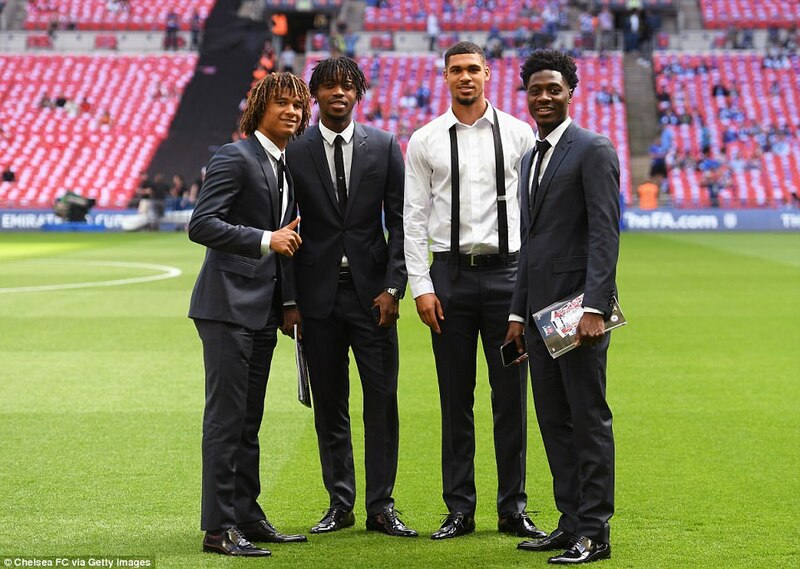 He insisted on speaking with his assistant, waving away the delegations of players, David Luiz being the most persistent. It was the offside, not the unseen handball, they were discussing and on that basis he awarded the goal. 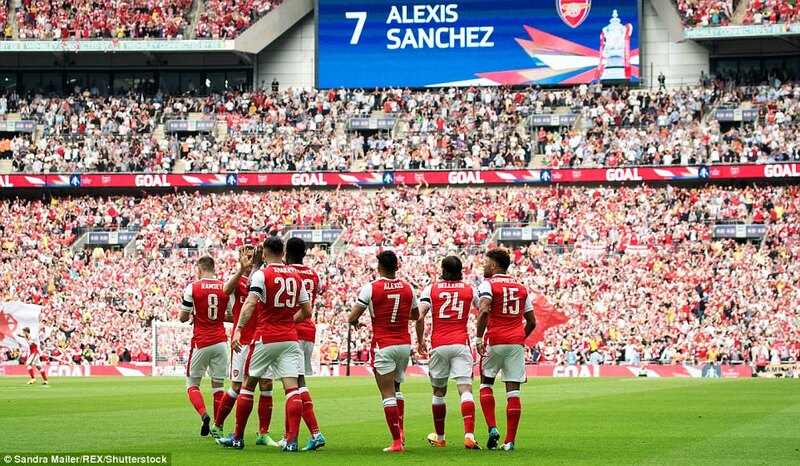 Having waited a good minute or so, Sanchez was not be denied his moment. He gestured his team-mates back to celebrate properly near the spot where he scored. The only anxiety for Arsenal was the fact that they would only score the one goal in the first half, so plentiful were their chances. On 16 minutes, a flowing move saw Ozil find Sanchez, who delivered just an exquisite pass back to Ozil. 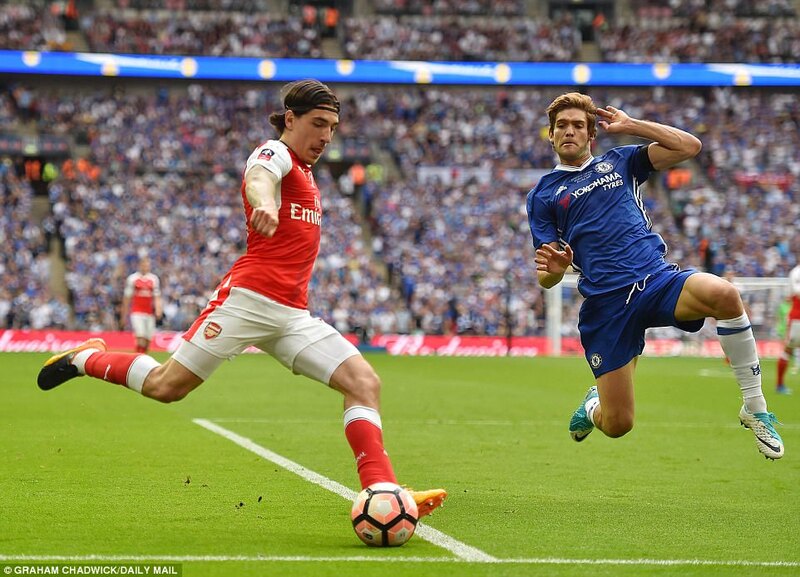 Through on goal he lifted the chip over Courtois and Luiz, but a deflection slowed the ball just enough for Cahill to scramble it desperately off the line. On 19 minutes, Ozil’s corner was wonderfully met by the head of Danny Welbeck. Courtois was beaten, the ball headed goal-wards yet bounced off the post. 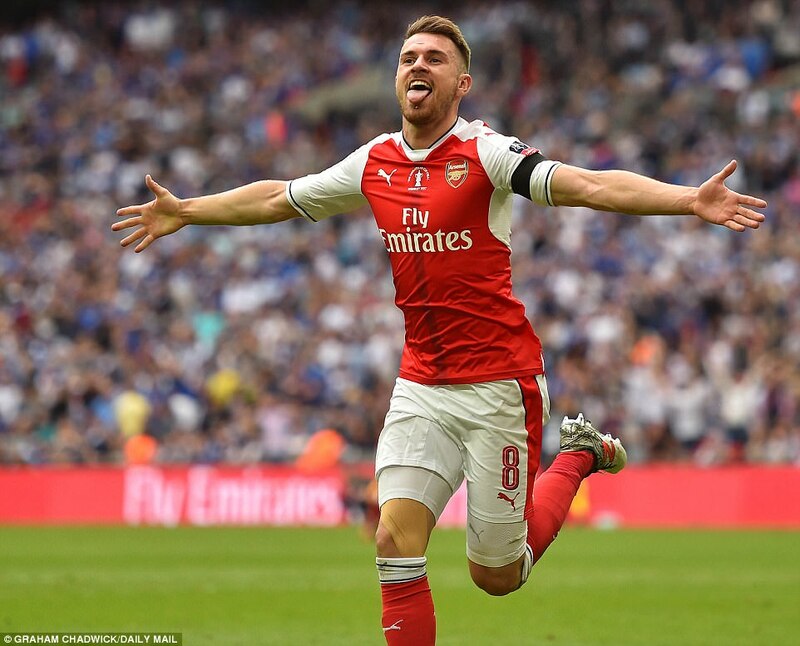 Even then it rebounded to Ramsey, who, shocked, couldn’t adapt his body shape and saw the ball bounce of his chest on to the post and out. A touch more composure would have meant the simplest of chances. 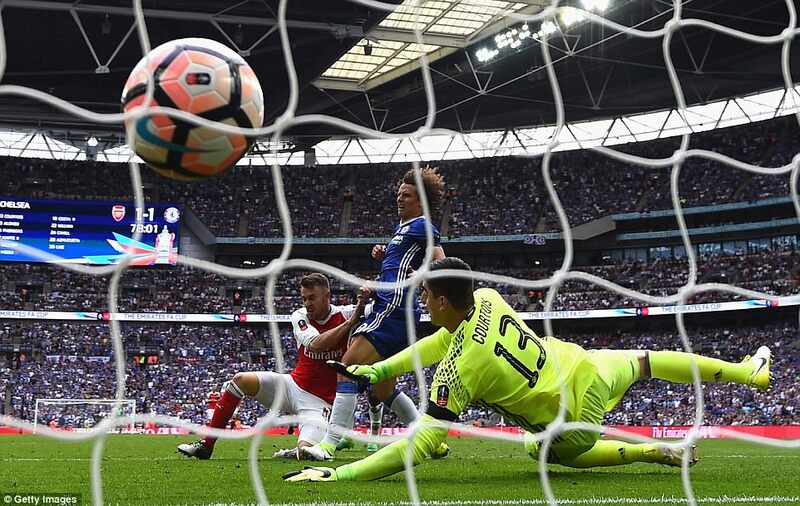 Cahill it was again who had to hoist the ball off the line when Bellerin had played in Welback and his shot was saved by Courtois but still found its way heading into goal on 30 minutes. 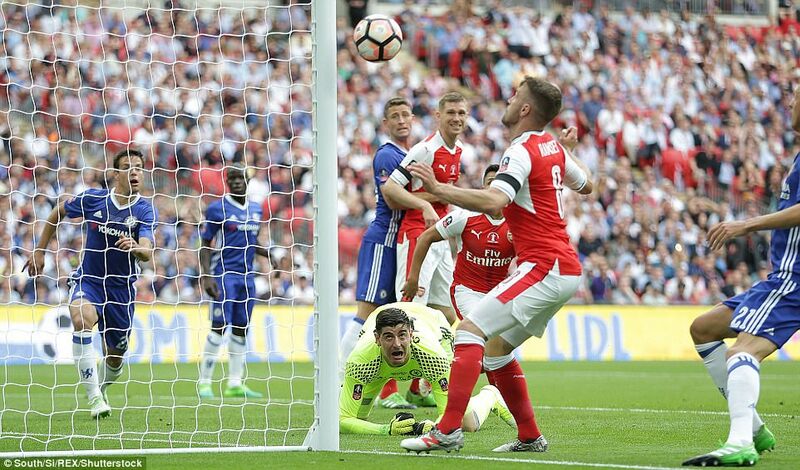 Granit Xhaka’s 30-yard strike then tested Courtois on 32 minutes. 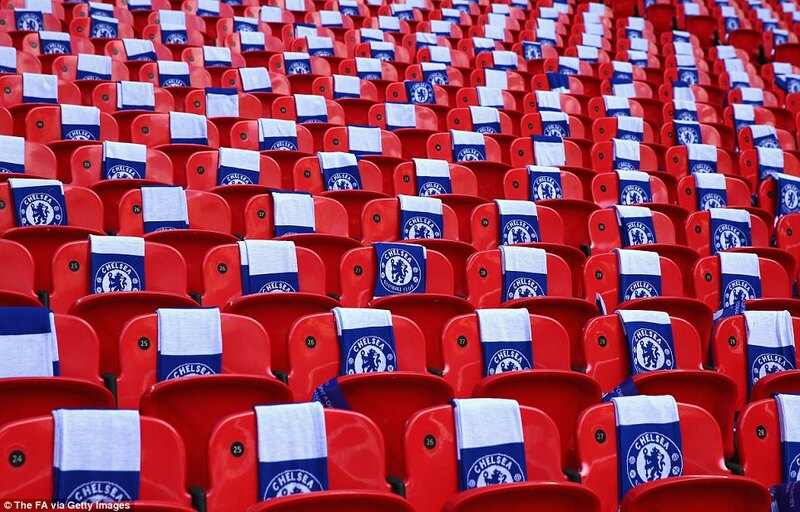 Chelsea looked what they were; a team who had achieved their season’s goal two weeks ago. When they did get forward, Mertesacker was leading the line, refusing to be bamboozled by Hazard despite the Belgian being half his height and twice his speed. 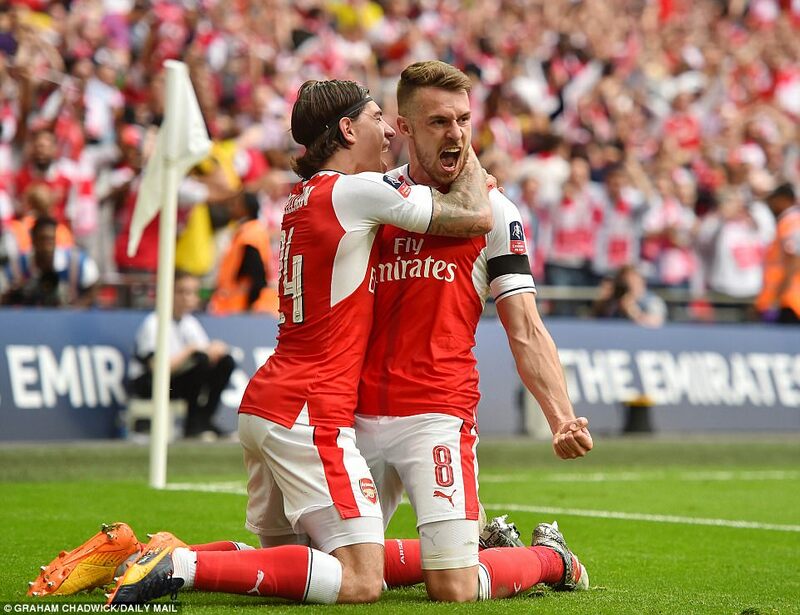 And when Mertesacker’s defiance wasn’t enough, Holding and Nacho Monreal were throwing themselves into blocks. 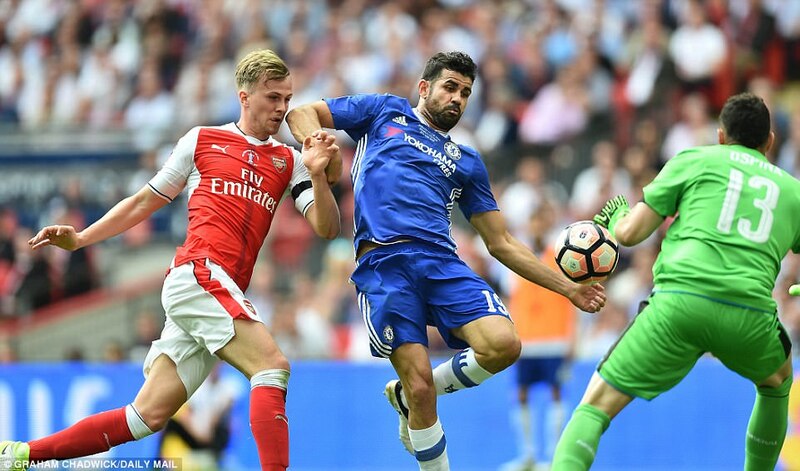 The one time in that opening period when Arsenal faltered was the delightful long ball played into Costa on 29 minutes. 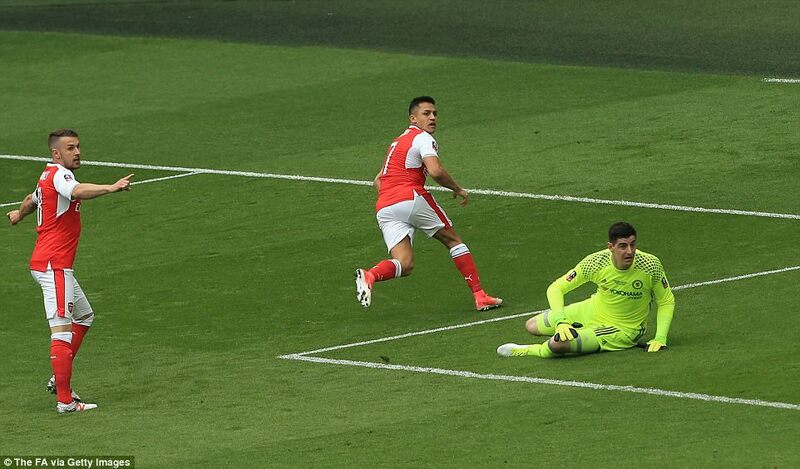 He characteristically bullied Holding off the ball, got his shot away but saw his strike smothered by the onrushing David Ospina. It couldn’t last. Naturally, Antonio Conte would not allow his Chelsea side, Premier League champions, to be so slack come the second half. Intent replaced lethargy at re-start. 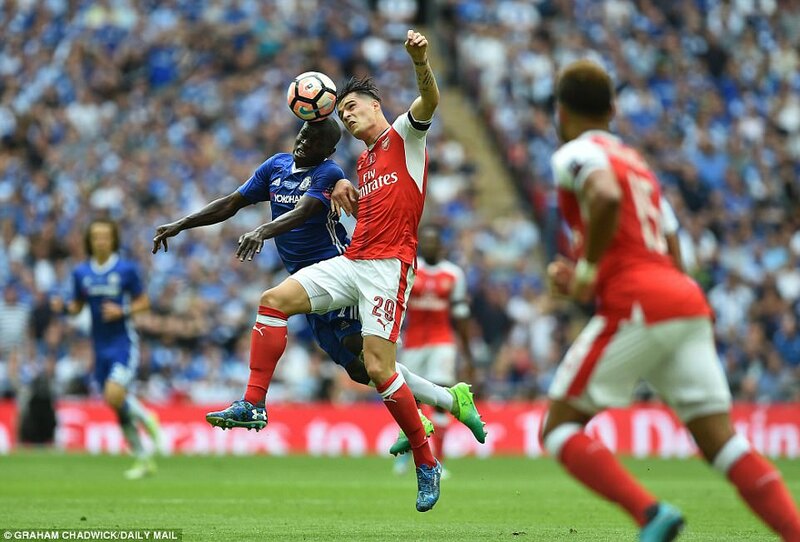 Kante gave early warning with his 48th-minute strike taking a slight deflection off Xhaka and requiring Ospina to save smartly. On 52 minutes, Victor Moses raced clear of Monreal and struck cleanly, though Ospina saved well and that man Mertesacker was there to clean up the mess. 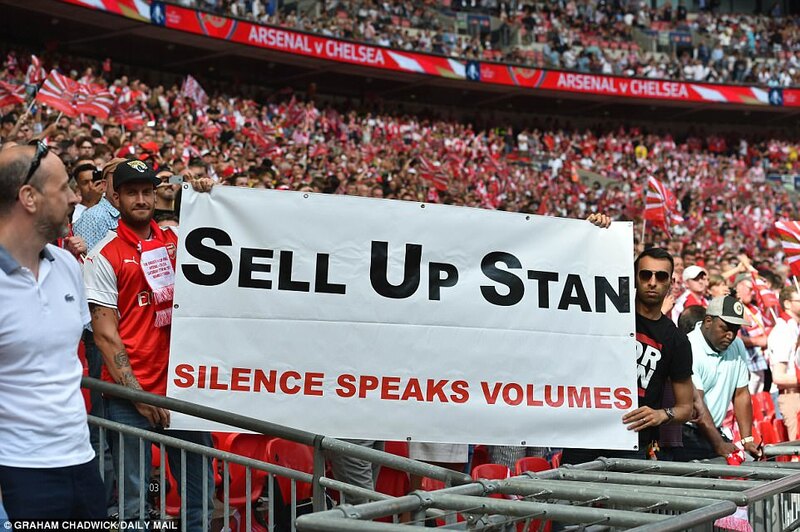 But Arsenal continued to have their moments. 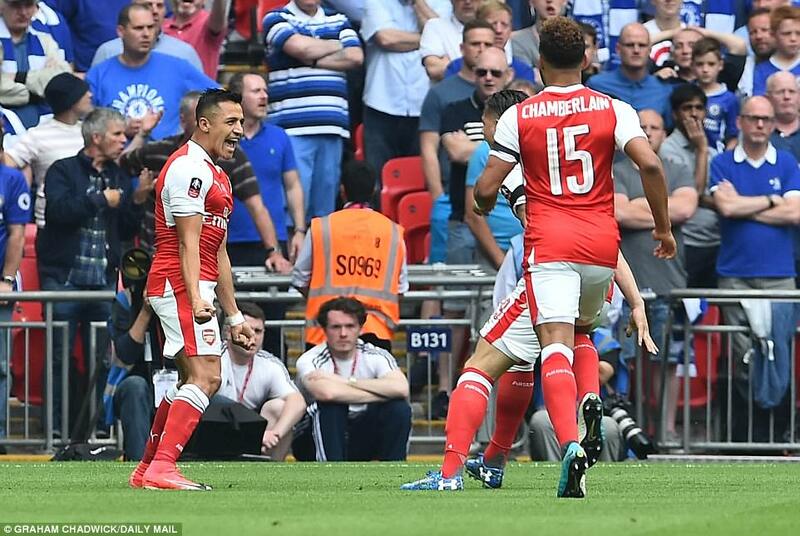 Sanchez as ever was the instigator in chief and on 55 minutes he set Bellerin clear with a sublime pass. 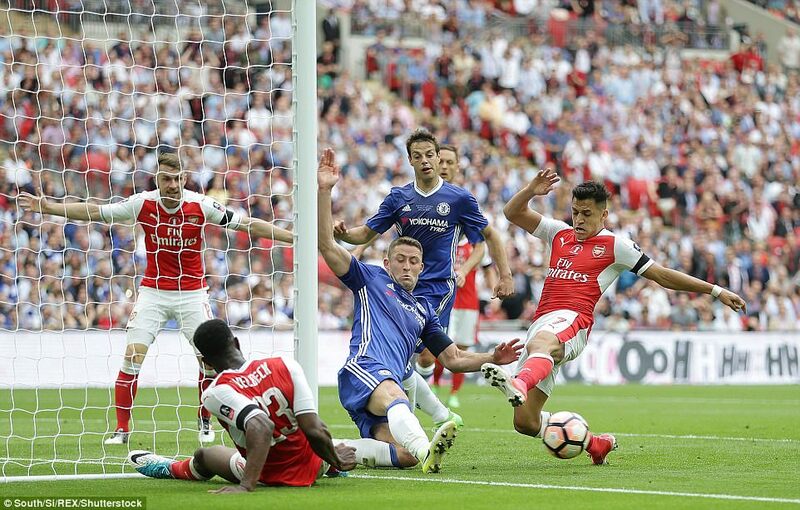 With team-mates free in the penalty area, Bellerin only had to deliver the pass but saw his cross deflected to Courtois. And Chelsea became the authors of their own misfortune on 68 minutes. Moses, already booked on 57 minutes, grew desperate. In the Arsenal box but with little on, he sensed Oxlade-Chamberlain closing in and fell to ground, anticipating some kind of challenge. But the Arsenal player had made none; in fact he had stubbed his toe into the ground rather than made any contact. Unfortunately for Moses, referee Taylor was standing in direct sight. A yellow card was inevitable, as well the red which followed. 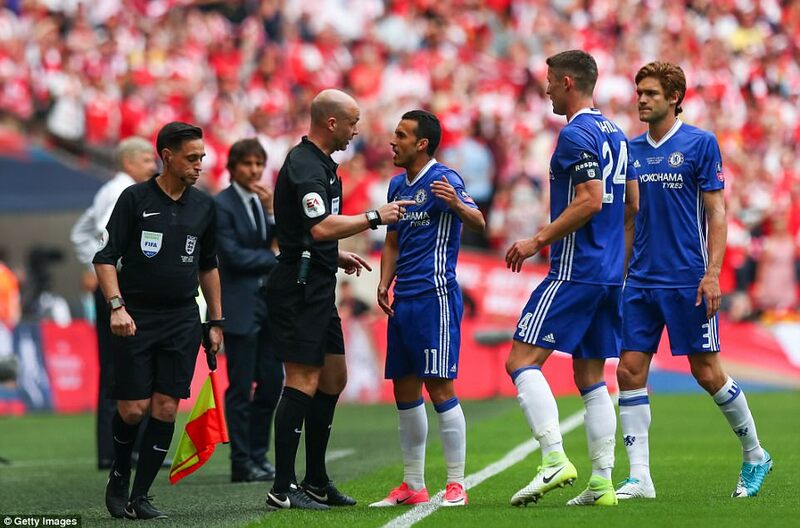 Chelsea’s task had suddenly become tougher still. A man down, a goal down and twenty two minutes to play in a game in which they had barely shown it didn’t look good. 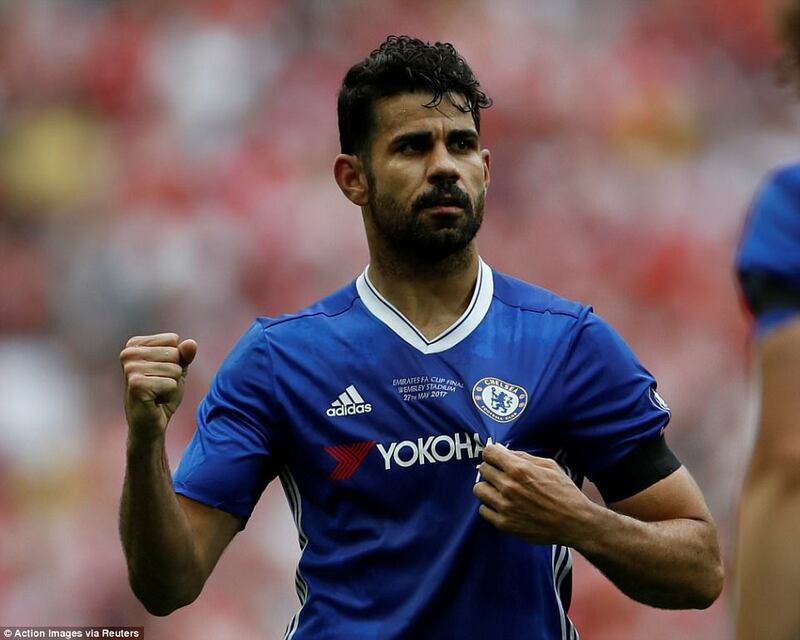 Yet it seemed unlikely they wouldn’t put up some kind of fight and predictably it was Diego Costa who dragged them back into the game. After an unusually crisp passing sequence, Willian lofted a ball towards Costa. Pushing aside Holding, he took it down, struck it into the ground and saw in bounce into corner past Ospina on 76 minutes. The respective mental strength of these sides appeared to be showing itself at last. 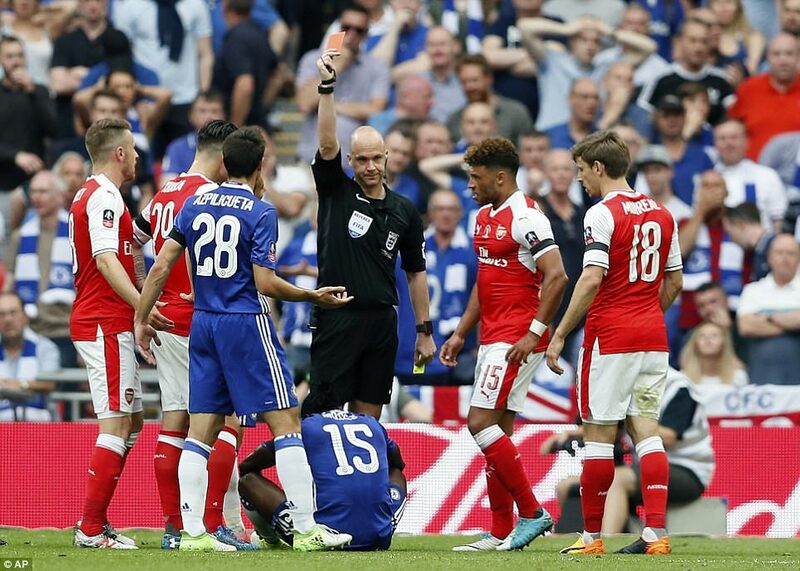 Arsenal’s fragility and Chelsea’s strength were finally forthcoming. And yet having established a foothold in the game, Chelsea reverted to the limp, slack defending again. 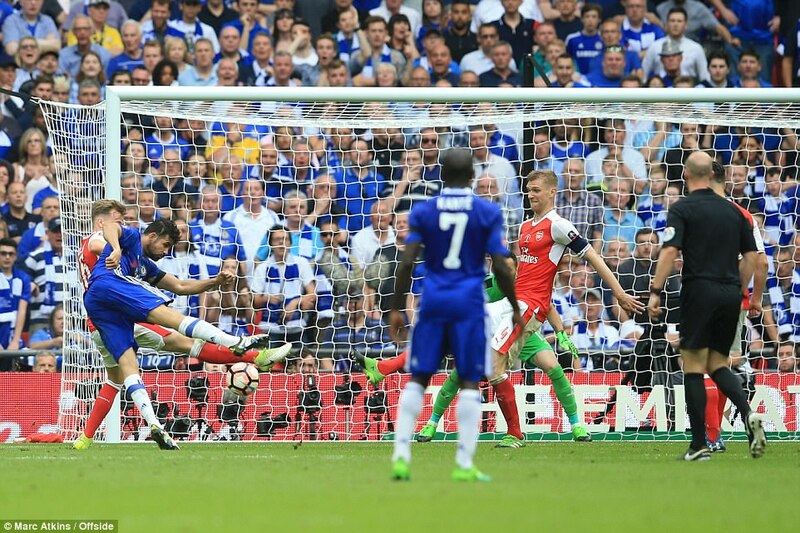 Almost from kick-off Arsenal worked the ball down the left, Giroud hurtled down the left, pulled the ball back and Chelsea neglected to pick up Ramsey, who headed home. He won the final in 2014; this looked a similar moment. Two minutes and nine seconds had elapsed since Costa had equalised. You sensed a fatal blow.